Whether you are at home or out enjoying a walk on a wooded path, you can add a touch of color and comfort to your daily routines with one or more of the twenty-six projects featured here. By using the patchwork placemats to enliven your dining experience or by taking the hexagon patchwork bag on a picnic in a meadow, you never have to stray too far from the comfort of patchwork. 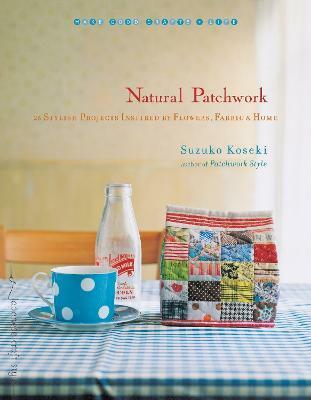 The simple and traditional patchwork styles used in this book are paired with retro fabrics and contemporary designs to create everyday items. Detailed diagrams and instructions are provided for each project. In addition, six mini-lessons on patchwork sewing are offered, making the projects here perfect for beginner and intermediate sewers. Make the projects in this book and add the warmth of handmade to your home and nature outings.